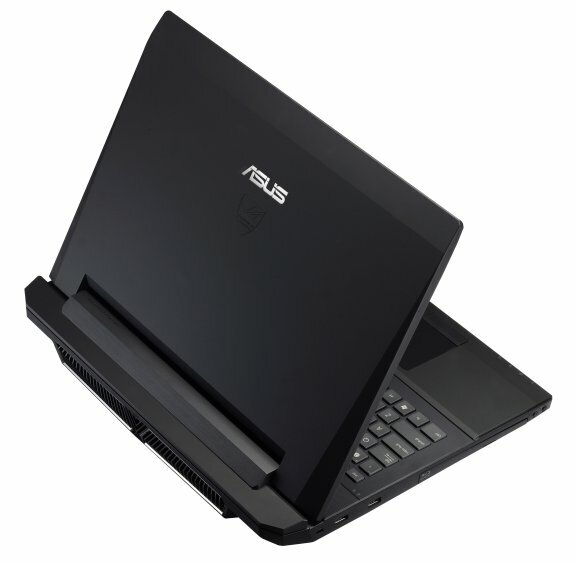 ASUS reveals the G74Sx, a new 17.3" gaming laptop that's available with Intel's Core i7 2630QM or Core i5 2410M. The GPU is NVIDIA's GeForce GTX 560M with 2GB/3GB GDDR5 and there are three different screen choices: 1600 x 900, 1920 x 1080 and Full HD 3D. Other features include Windows 7, up to 16GB DDR3-1333, dual-HDD support, DVD burner or Blu-ray, 3-in-1 memory card reader, HD webcam, 802.11b/g/n WiFi, Bluetooth 3.0 (optional), three USB 2.0 ports, one USB 3.0 port, Kensington lock, and a 5200mAh battery (74Whrs). 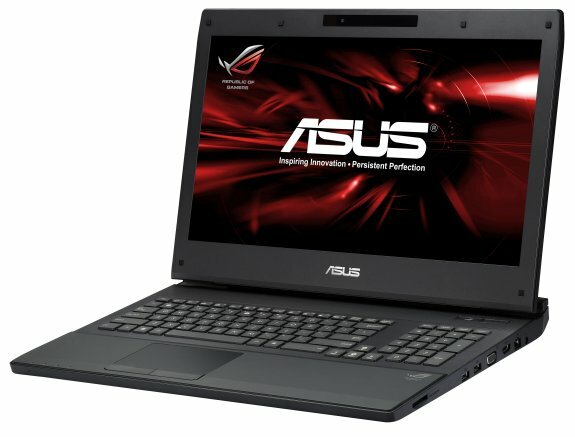 ASUS has launched the ROG G74Sx gaming notebook, the fourth generation in their popular and powerful G Series notebooks. Featuring the performance of a second generation Intel® Core™ i7 CPU and NVIDIA® GTX 560M GPU with 3GB of GDDR5 VRAM and up to 16GB of DDR3 DRAM, the G74Sx is the fastest gaming notebook in the market, breaking 3DMark11 and 3DMark Vantage scores. With support for the latest DirectX®11 graphics, the G74Sx delivers spectacular gaming and multimedia visuals, all in a sleek portable design. The ROG G74Sx offers a portable 3D experience, with top notch specifications optimized for the creation, editing and viewing of 3D content. It features NVIDIA® 3D Vision™ as well as 3DTV Play™ so users can experience 3D content on either the G74Sx or on a 3D-capable HDTV. When paired with the built-in Creative EAX Advanced HD 5.0, an ultra-realistic sound environment is generated, creating a truly immersive 3D audiovisual experience. The G74Sx is similar to its predecessor in terms of design, but features improvements to give users an easier way to upgrade as well as a better gaming experience. The five degree angled keyboard and soft touch palm rest are still present, though the keyboard is more spacious with extra room given for the number pad and arrow keys, as well as a bigger shift key that gamers will appreciate. The rear venting system has also been upgraded, now consisting of the Dual Intelligent Fans which independently cool both the CPU and GPU. When there is more load on the CPU, the GPU fan will automatically switch to assist in cooling the CPU and vice versa, optimally keeping the G74Sx operating at low temperatures. As a result of this new fan system and rear venting design, noise is reduced and gamers are kept cooler than ever for a more comfortable extended gaming session. An all new feature is the Easy Upgrade Cover which allows users to remove a panel underneath the G74Sx with a coin so they can upgrade their memory or HDD quickly and easily. With support for a massive 16GB of memory, and two slots for hard drives, the Easy Upgrade Cover will be come in handy when it comes time to upgrade.